Removing friction from the customer journey is a top priority for Retail Banks in 2018. But how can AI be used to optimize marketing or social content in customer journeys to grow revenue and improve customer experiences. 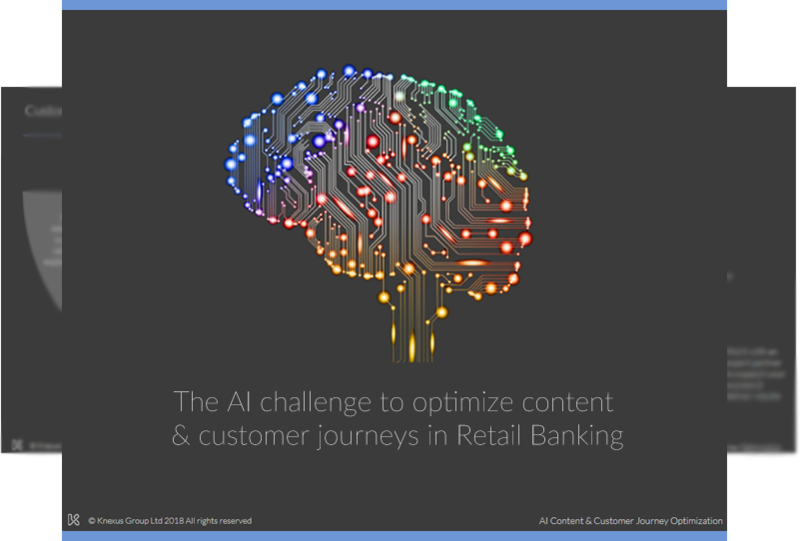 AI optimized customer journey specialists Knexus are delivering a series of exclusive, private briefings for leading banks such as Bank of New York and UBS. Insights shared through the briefings include…. If you'd like to organise an exclusive, private briefing for your team, sign up using the Request a Briefing form below.